Update: Put down your controller, the PDP PS4 remote has (almost) arrived. A press release sent to techradar confirmed that both companies have targeted the end of October for launch and a set price of $29.99. 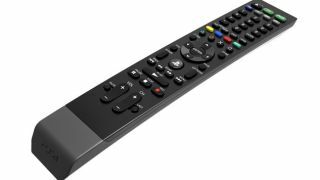 The Universal Media Remote can control up to three additional devices - a TV, cable box and a receiver - and will connect via Bluetooth to your PS4. The same press release listed all the apps that are compatible with the remote: Blu-ray Disc Player, Crunchyroll, DIRECTV NFL Sunday Ticket, FUNimation, HBO GO, Media Player, NBA GAME TIME, Netflix, PlayStation Video, PlayStation Vue, Twitch and YouTube. We should all be thanking PDP for sneakily (not) announcing a new remote control for the PS4 so we can carry on binge watching Netflix without using a DualShock controller. With the meager amount of games on the PlayStation, it seems like the console ends up as machine for streaming, or used as a Blu-ray player anyway. The Xbox One and the previous consoles already have remotes on hand but for some reason, it's taken the PS4 a little longer. Thankfully, it looks like Amazon and Gamestop - and likely other retailers later - are making sure we can finally get one in October for $30 (about £19, AU$40), though you can pre-order it now. The sites also note you can use the remote for up to four devices, there will be dedicated buttons for PS4 Home and there's a minimum six month battery life under normal use (with the requirement of two AAA batteries).